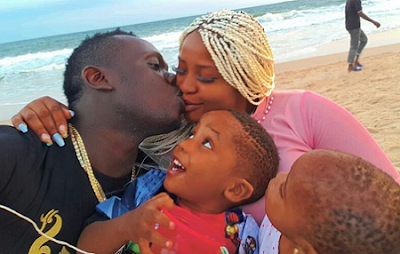 Duncan Mighty is a father and he also likes to show this aspect of his wife. He took his family to the beach, shared a kiss with his wife and his children became a little jealous. They watched it as they saw daddy kissing their mom! Duncan shared the picture on IG saying, indeed, there is something money, fame and power can not buy by thanking God for his family.